Remember this ADORABLE newborn session for the sweetest newborn baby boy? 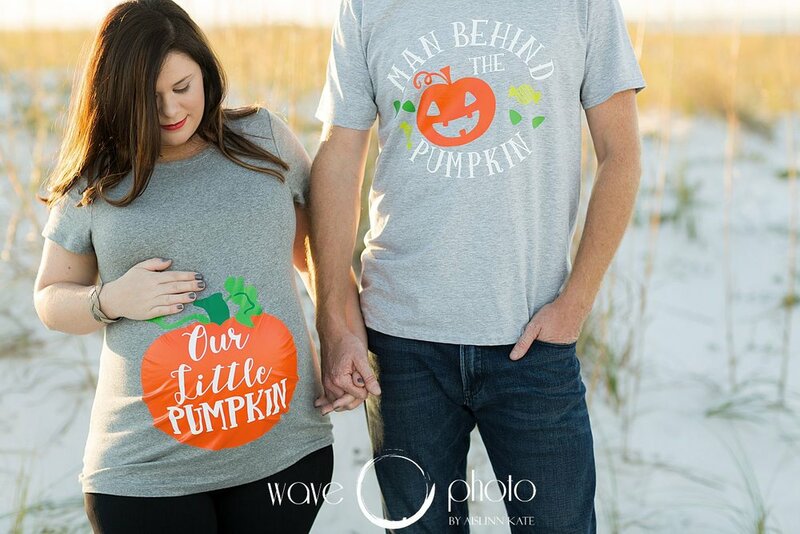 I was also the super lucky photographer at Wave who photographed his mom and dad's Pensacola Beach maternity session this past fall! Fall beach sessions are my favorite. The water is calmer, most vacationers have headed home for the year so the beach is a little quieter, and the sky shows off with the most amazing cotton candy palette. I was so excited when Lindsey told me that a beach session was what she was envisioning! Pensacola Beach showed off in a pretty incredible way for us and I loved the stunning results! !